I love second ice age PA films even though we don't get a ton of them. Films like The Colony and Snowpiercer, there's just something about the cold that makes them seems even bleaker than the deserts of Mad Max. 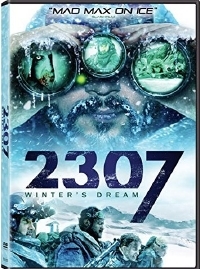 Enter 2307: Winter's Dream which is an interesting beast. We brought you the trailer a while back and now the film hits DVD from Lionsgate. The film is written by Academy Award nominated writer of Blue Valentine, Joey Curtis. It stars Paul Sidhu, Branden Coles, Brad Potts, Anne-Solenne Hatte and Arielle Holmes. Johnathan Nolan's big HBO gamble paid off after some production hard knocks. 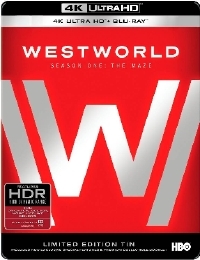 The show's first season about a western themepark populated by androids wowed casual viewers and reddit detectives alike. The show comes back in 2019 (2018? ), but the first season has finally arrived so you can go back and try two figure out if the journey of the Man in Black made sense. 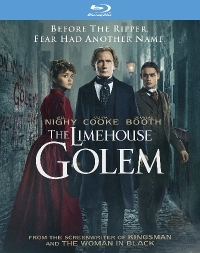 The city of London is gripped with fear as a serial killer - dubbed The Limehouse Golem – is on the loose and leaving cryptic messages written in his victim’s blood. With few leads and increasing public pressure, Scotland Yard assigns the case to Inspector Kildare (Bill Nighy) – a seasoned detective with a troubled past and a sneaking suspicion he’s being set up to fail. Faced with a long list of suspects, including music hall star Dan Leno (Douglas Booth), Kildare must get help from a witness who has legal troubles of her own (Olivia Cooke), so he can stop the murders and bring the killer to justice. New from Shout! Factory's IFC arm come Kill Ground, I film I've heard good rumbling about. It is an unassuming couple’s vacation that becomes a desperate fight for survival in this ultra-raw, unhinged thrill ride. In need of a break from the pressures of city life, Sam (Harriet Dyer) and Ian (Ian Meadows) head to a remote beach for a romantic weekend camping trip. When they stumble upon an abandoned campsite, they’re concerned. When they discover a lone, traumatized child nearby, they’re scared. And when they encounter two sadistic sociopaths (Aaron Glenane, Aaron Pedersen), they’re in for one hell of a getaway. 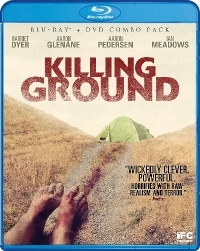 Weaving with unexpected twists and turns, Killing Ground delivers both nerve-shredding suspense and gut-punching realism. 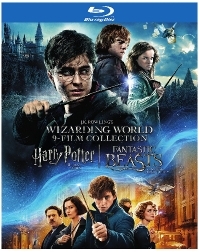 For a mere 70 bucks you can get ">all 9 films in the Harry Potter franchise including the last one, Fantastic Beasts. Not a bad deal if you're a fan or have kids who might want to get into the series. Similarly, The Godfather trilogy has been released on Blu-ray for about 35 bones. Not bad for the set. For the record, 2037 Winter's dream was a mess. Too many ideas, not enough talent to pull it off. There has been 4 or 5 ice ages already.